After a fire whipped through Leonard Good's lab, South Whidbey Hearts & Hammers HEART crew was there to help. 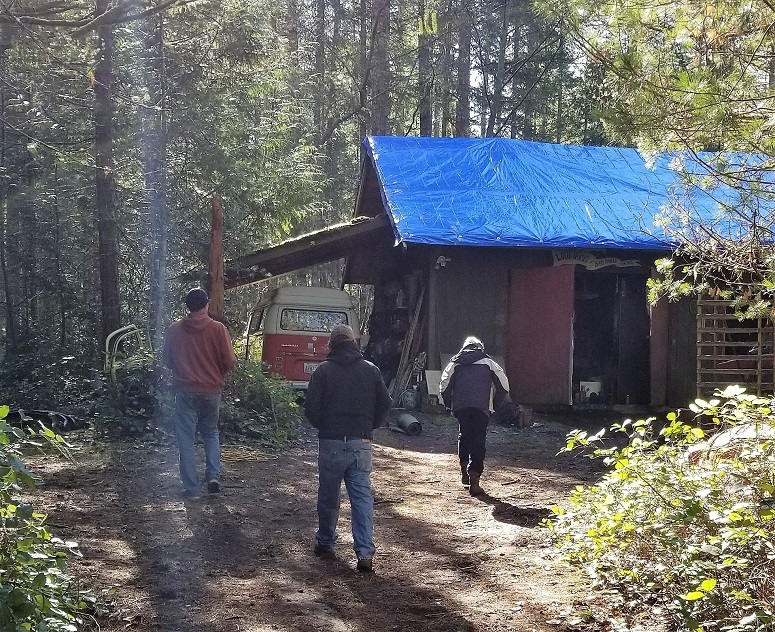 After a fire destroyed the Langley classroom laboratory of longtime, beloved science teacher Leonard Good on Wednesday, Feb. 27, the South Whidbey Hearts & Hammers Home Emergency Action Repair Team (HEART) stepped into action and was on the scene to help by the following Friday. The content of Good’s classroom was pretty much destroyed in the fire, but the HEART crew was able to tarp the roof to keep things inside from being further destroyed by the elements. Good’s wife, Linda Good, expressed her gratitude to the HEARTS crew for the help. Good said one of Leonard’s former students, Ariel (Hanson) Fenton, went ahead and set up a “Go Fund Me” account with the title “Help the Goods Recover from a Classroom Fire” at www.gofundme.com. South Whidbey Hearts & Hammers is an organization that helps South Whidbey homeowners with repairs to their homes. An annual workday takes place on the first Saturday in May, but for those who need immediate help for a quick repair, the HEART crew is there, just like they were there for the Goods. To find out more about South Whidbey Hearts & Hammers, HEART and the upcoming Saturday, May 4 workday, please visit www.heartsandhammers.com. This great nonprofit organization of Neighbors Helping Neighbors can always use more volunteers! Wednesday, 20th March 2019, 03:09pm.